All divorces are emotionally challenging, but legally speaking, some divorces are more complicated than others. Wealthy couples who are contemplating getting divorced should be aware that there are certain unique legal issues that tend to complicate high net worth divorce cases. Some of these issues are outlined below, but this list is not exhaustive, and wealthy individuals in Florida who are interested in getting divorced should consult with a local divorce attorney as soon as possible. Can these Issues Be Resolved Outside of Court? While high asset divorces can be hugely complicated, sometimes it is possible to resolve the issues outlined above outside of court. In fact, resolving divorce related issues outside of court can sometimes be favorable as doing so allows the couple to cooperate and reach an agreement that both parties are comfortable with. There are several different ways in which a couple can settle their differences outside of court, the most popular of which is mediation. Mediation is a flexible process during which participating individuals enlist the help of an independent third party to act as a mediator who facilitates dialogue in order to help the parties come to a mutually agreeable resolution. Mediation is an ideal form of dispute resolution for family law issues as this alternative to going to court keeps the decision-making power in the couple’s hands and can save the parties both time and money. In fact, many times, high net worth/high profile parties can even settle their case pre-suit, avoiding their private affairs and finances being part of a contested divorce file. Any couple seeking a divorce, no matter how great their net worth is, should consider participating in mediation in order to help their divorce flow as smoothly as possible. At the Law Offices of David L. Hirschberg, P.A. we are committed to protecting our clients’ financial interests and working with each client on a one-on-one basis to develop a personalized strategy focused on asset protection. 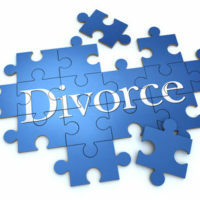 If you are a high asset individual going through a divorce, it is very important that you retain a divorce lawyer who has experience navigating the unique legal issues that accompany high net worth divorces. Mr. Hirschberg is Florida Bar Board Certified in Marital and Family Law, has a history of representing high net worth clients, and would be happy to represent you during your divorce. Contact our Boca Raton office today at (561) 288-8620 to schedule an initial consultation.